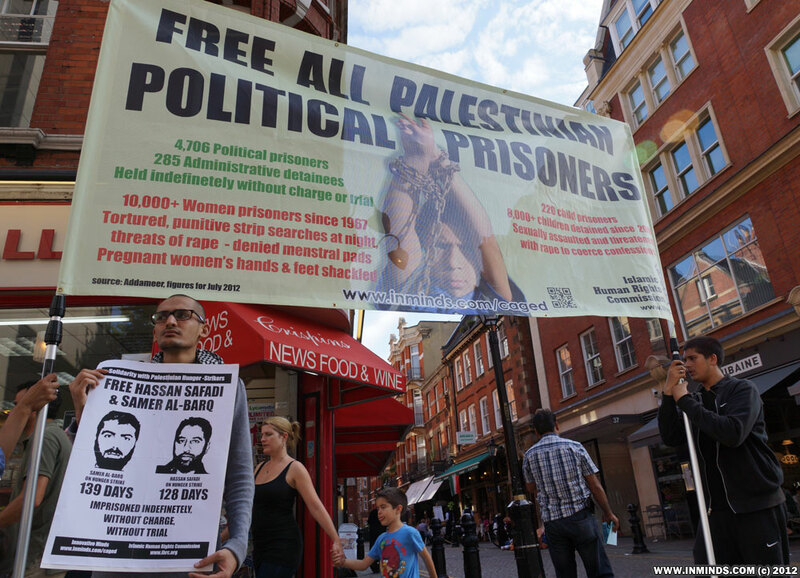 The newly formed Palestinian prisoners campaign group protested outside the Israeli Embassy on Saturday 18th August 2012 demanding the immediate release of Palestinian hunger strikers Hassan Safadi and Samer al-Barq. 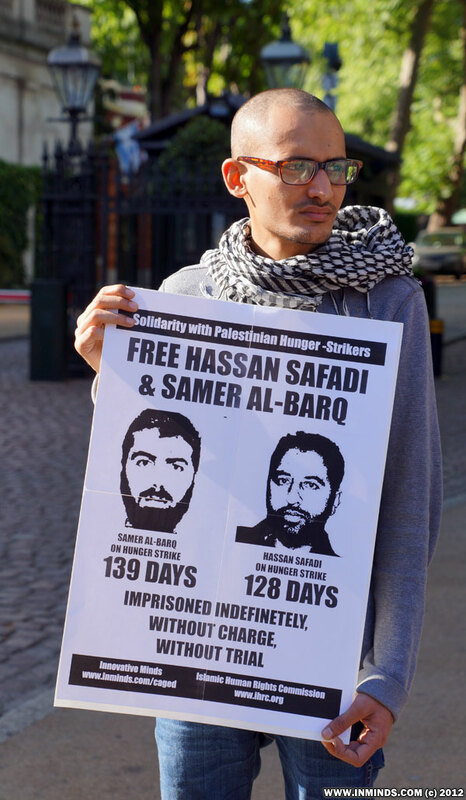 Both Samer al-Barq and Hassan Safadi have been imprisoned indefinitely, without charge and without a trial as part of Israels infamous Administrative Detention system whereby Palestinians are picked up and locked up without any charge being brought forward let alone a trial. 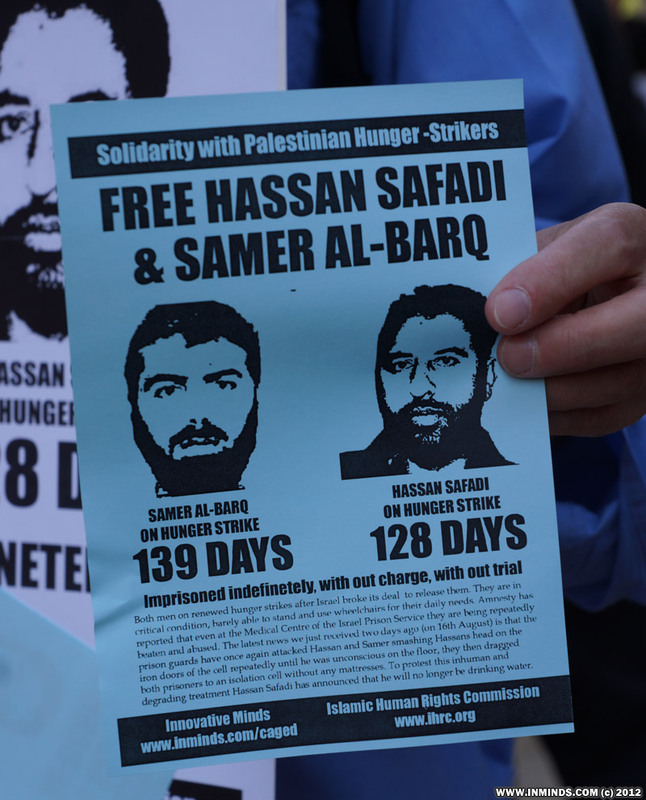 Both men are on renewed hunger strikes after Israel broke its deal to release them. 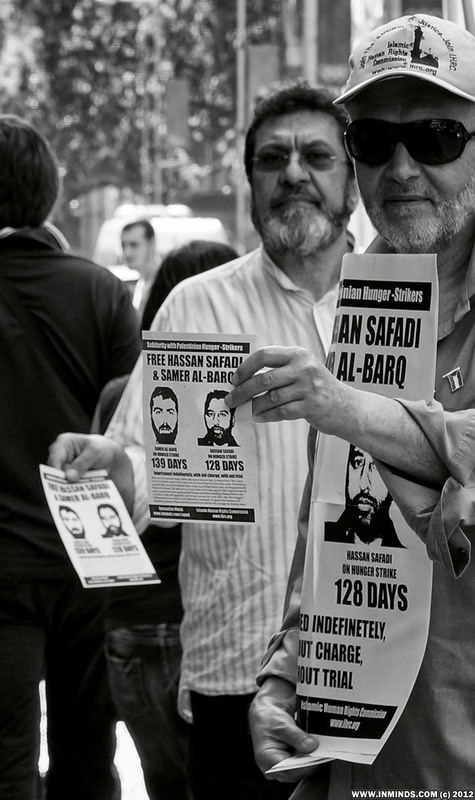 Samer al-Barq has been on hunger strike 139 days in total whilst Hassan Safadi a 128 days. 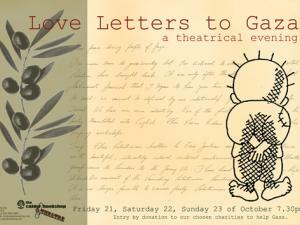 They are in critical condition, barely able to stand and use wheelchairs for their daily needs. 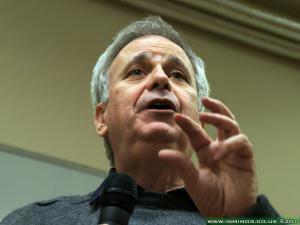 Amnesty has reported that even at the Medical Centre of the Israel Prison Service they are being repeatedly beaten and abused. 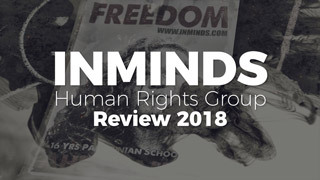 The latest news received on 16th August is that the prison guards have once again attacked Hassan and Samer smashing Hassans head on the iron doors of the cell repeatedly until he was unconscious on the floor, they then dragged both prisoners as punishment to an isolation cell without any mattresses. 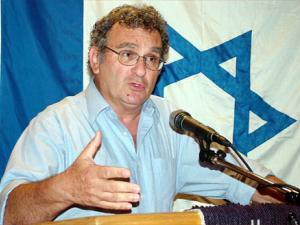 To protest this inhuman and degrading treatment Hassan Safadi has announced that he will no longer be drinking water. 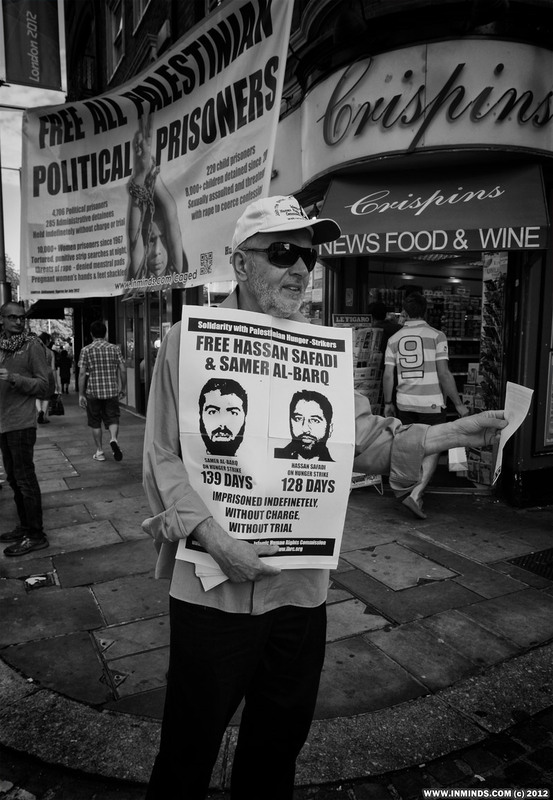 Around a dozen people braved the 31°C scorching heat on the last days of Ramadan to stand outside the Israeli Embassy giving out leaflets informing people of the plight of Palestinian hunger strikers Hassan Safadi and Samer al-Barq. 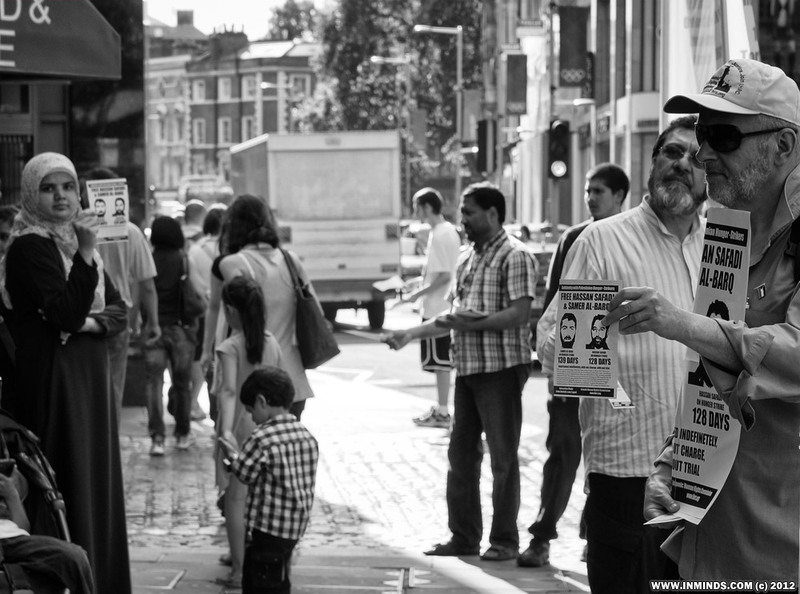 The leaflets were very well received with around 400 leaflets being distributed in 2 hours. 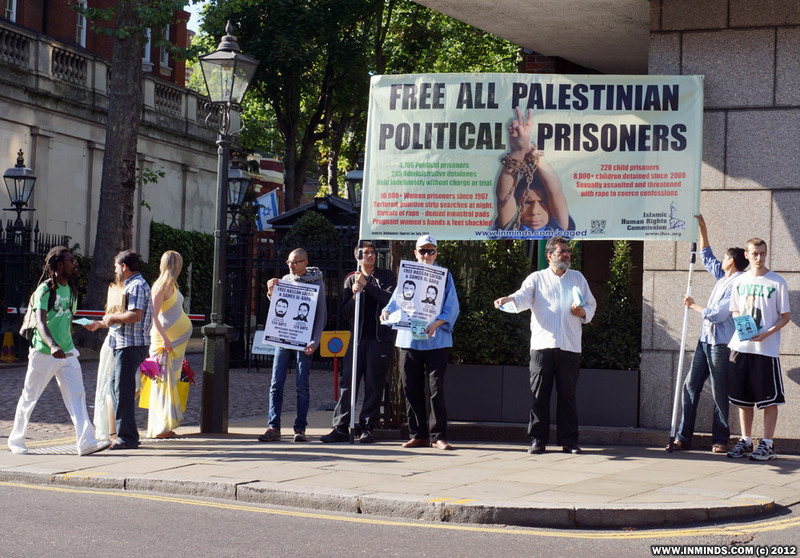 We were on the pavement opposite the Israeli Embassy for most of the time, with our main banner facing the embassy, it was interesting to see people leave the path and walk on to the street just to read what our banner had to way. 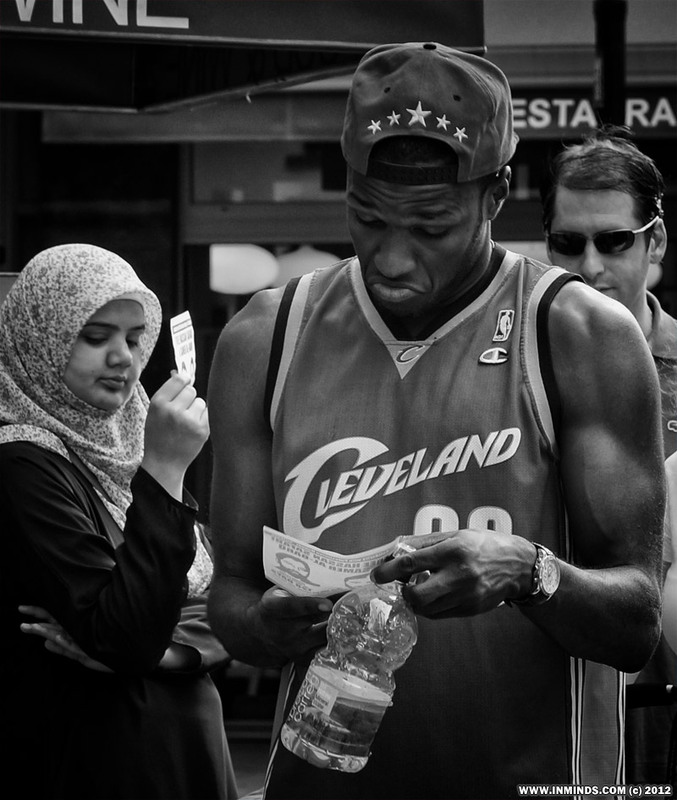 Others stopped to talk to us despite the heat. 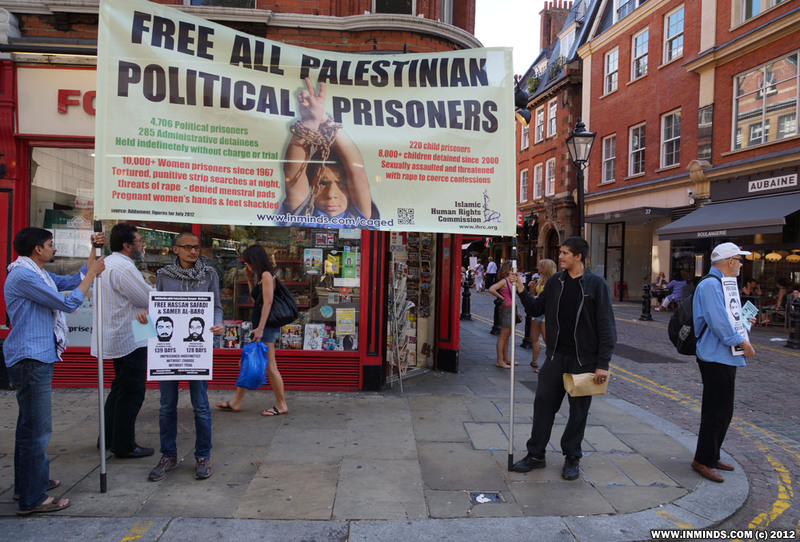 It seems the subject of prisoners and their detention by Israel without charge or trial and their systematic abuse was something that was close to the hearts of Londoners. 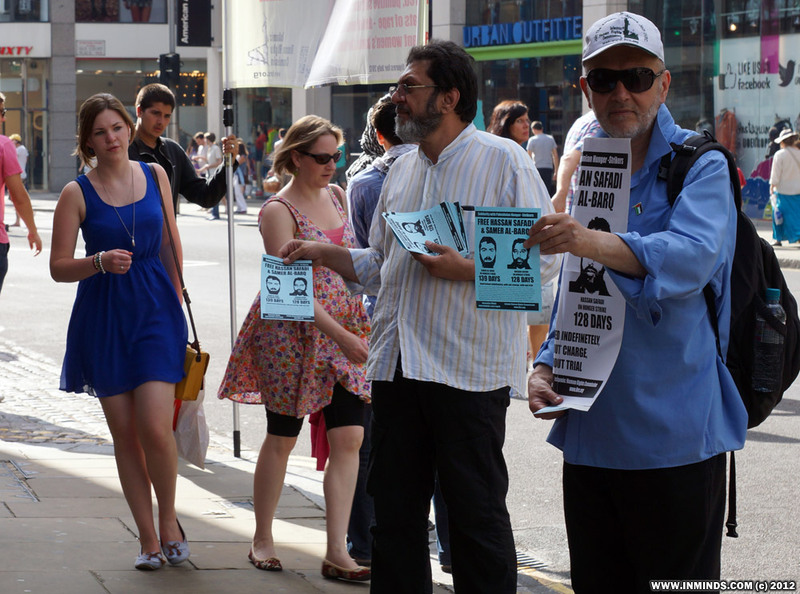 Some people having seen the banner actually came to us asking for the leaflet rather than wait for it to be offered - they genuinely wanted to know more. 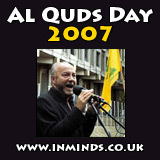 The Palestinian prisoners campaign group was inaugurated at this years Al Quds Day (17 August 2012), as their first act they called for this emergency protest in solidarity with Hassan Safadi and Samer al-Barq. 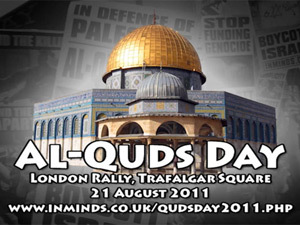 Further protests in support of Palestinian prisoners are planned every two weeks, for more information see their web page. 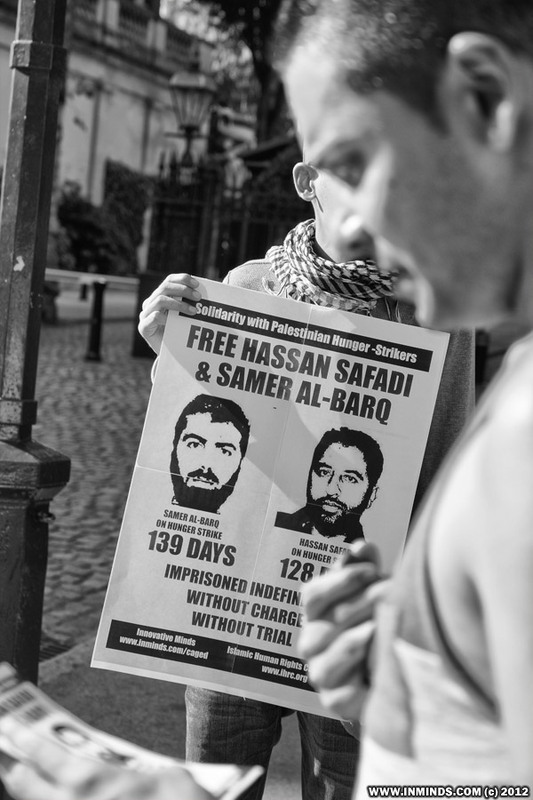 The resources created for this protest (leaflet and poster) are included below in the hope that they might be useful to other campaigners who wish to organise their own vigils for Hassan Safadi and Samer al-Barq at this critical time. Its enouraging to see people read the leaflet there and then rather than fold them away to disappear in to their pockets..
Photo report of protest outside the British Foreign Office calling on the government to sanction Israel to release all Palestinian child prisoners and returned them to their families. 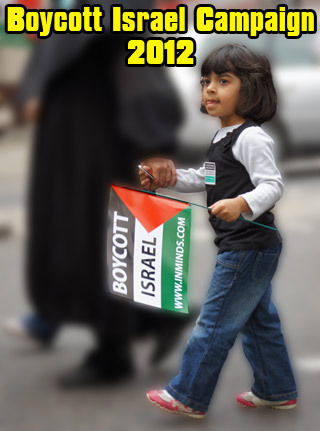 Join us on Saturday 15th Sept 2012 at 4pm outside the British Foreign & Commonwealth Office to protest in solidarity with the 220 Palestinian child prisoners languishing in Israeli dungeons. 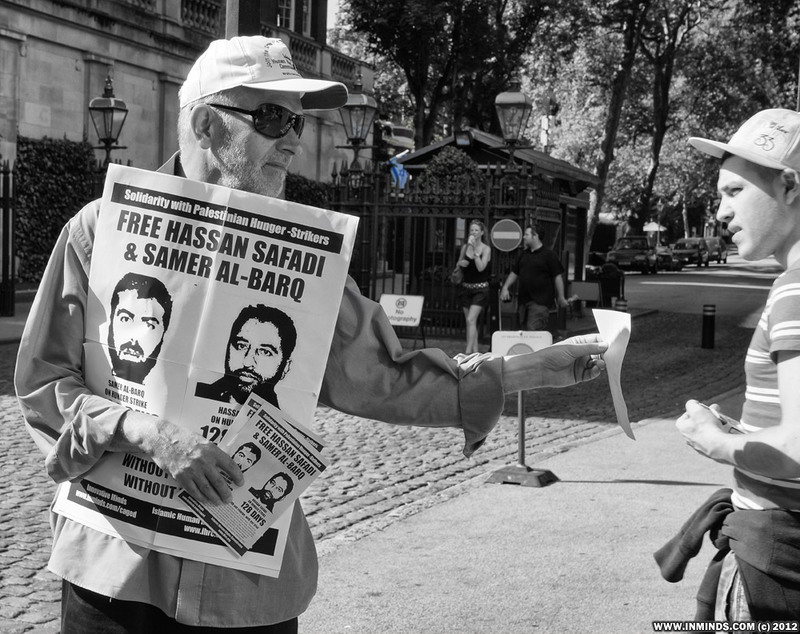 As Palestinian hunger striker Hassan Safadi entered his 150th day of hunger strike the families of the prisoners called for actions of international solidarity, in response activists in London held vigil on 9th Sept 2012. 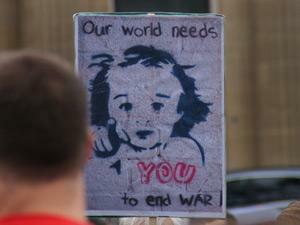 Photo report. 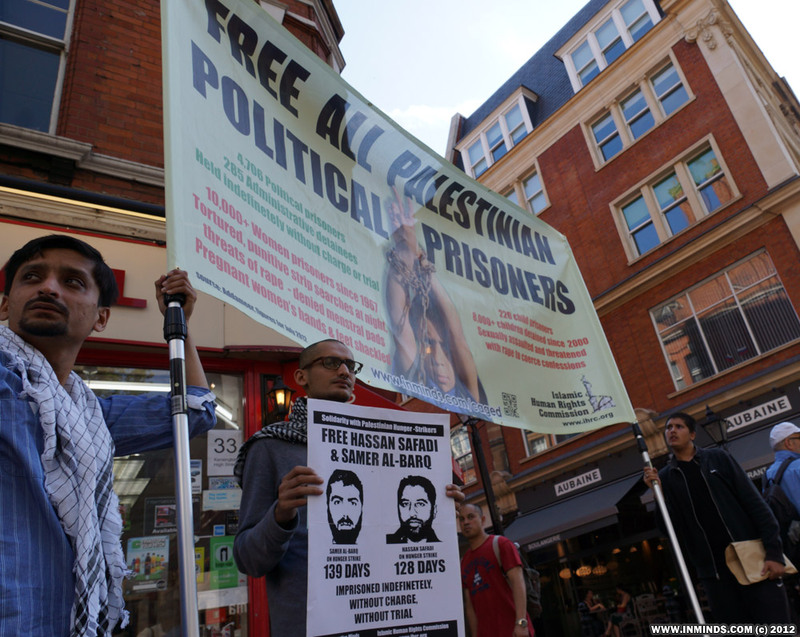 Londoners protested outside the Israeli Embassy as Israel withholds needed medication from Palestinian prisoner Ayman Sharawna, on hunger strike for 63 days, until he agrees to end his hunger strike. 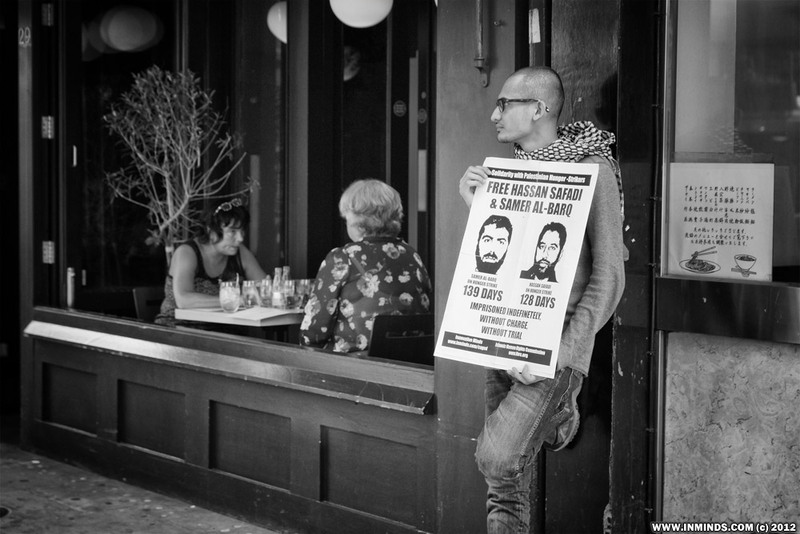 Join us on Saturday 1st September 2012 at 3pm outside the Israeli Embassy to protest in solidarity with the Palestinian hunger strikers Samer Al-Barq, Hassan Safadi and Ayman Sharawna who are in critical condition. Prisoners condition is critial after latesr attack by prison guards. 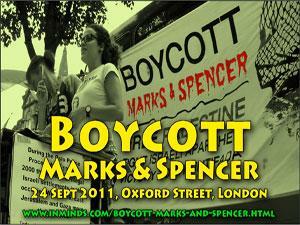 Protest: Saturday 18th August, 3-5pm outside Israeli Embassy, Kensington High Street.